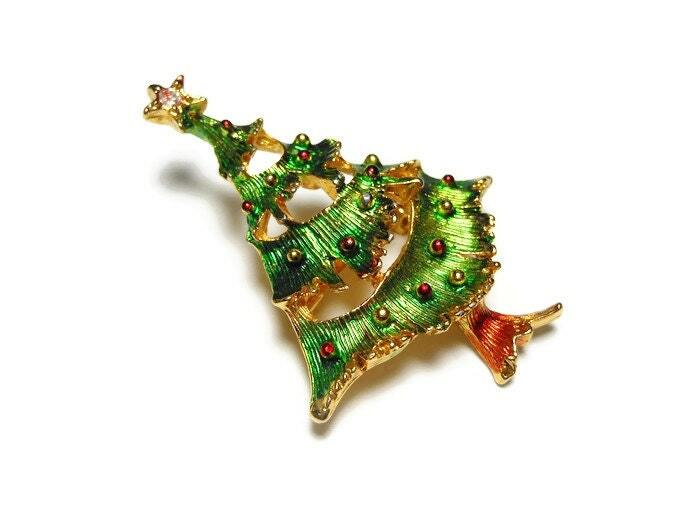 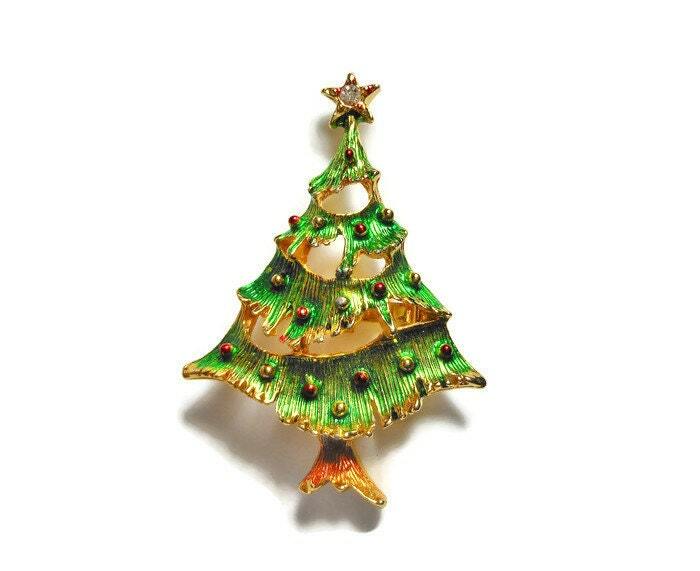 Christmas tree brooch, green enamel over gold plated tree with colored balls, holiday pin with rhinestone star topper. 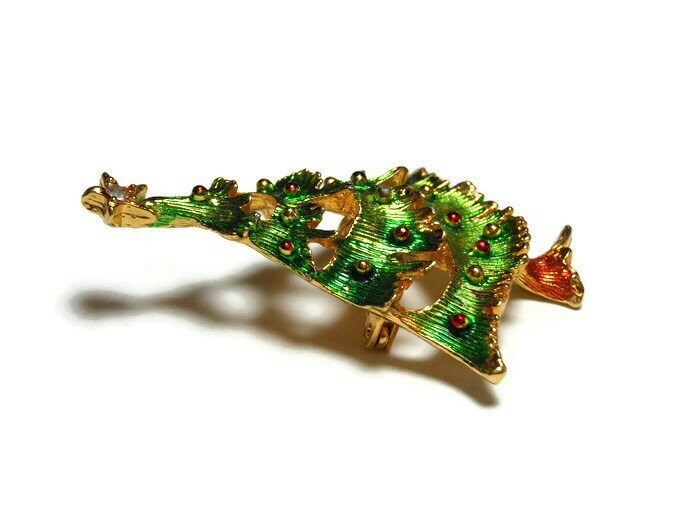 I would say that this is a designer brooch but the name plate on the back is gold plated over. 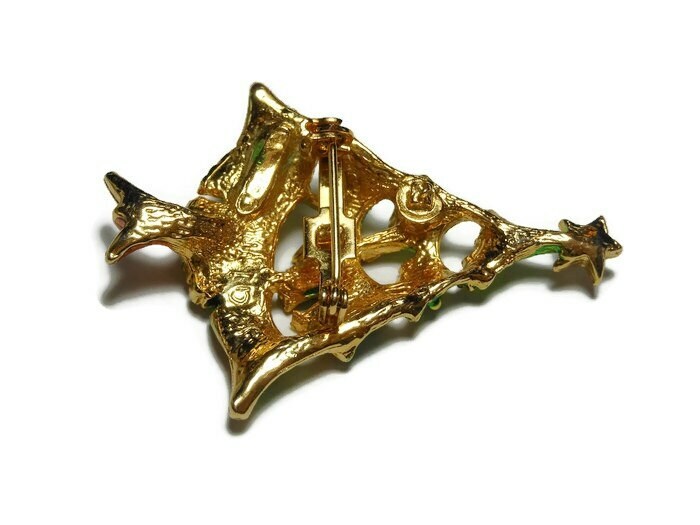 It measures 2" (5.1 cm) long by 1 1/2" (3.8 cm) at its widest and is in like new condition.